Blake Shelton, country musician and coach on the TV show The Voice, recently performed in Pittsburgh and sports, arts and entertainment management students Alyssa King (pictured right) and Derek Makin, along with alumna Nicolette Mulvihill, had the opportunity to work in VIP for his show. 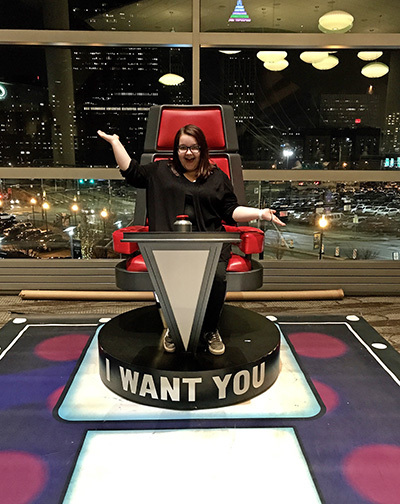 “I worked VIP guest check in and VIP room set up and tear down and helped load trucks including the chair for The Voice,” said Makin, a junior SAEM major from Forest Hills High School in Sidman, Pa.
“My favorite part of working the concert was interacting with the fans. I love seeing the passion the fans have for the artist. With every VIP event I work, I understand how unique each experience is from the next,” explained King, a senior SAEM major from Strongsville High School in Strongsville, Ohio. Both Makin and King worked in VIP at the Metallica concert. For Mulvihill, her duties included setting up the VIP check in and efficiently checking in all of the guests attending the VIP experience. “There were three different tiers for the VIP, so it was important that I familiarized myself with all aspects of those tiers,” said Mulvihill, a 2017 SAEM alumna, group sales manager for the Sheraton Pittsburgh Hotel and graduate of South Park High School in South Park, Pa.
“My experience in the SAEM program and my exposure to these types of events as a student has helped me to grow my network and continue to get these experiences on my own after graduation!” Mulvihill added. 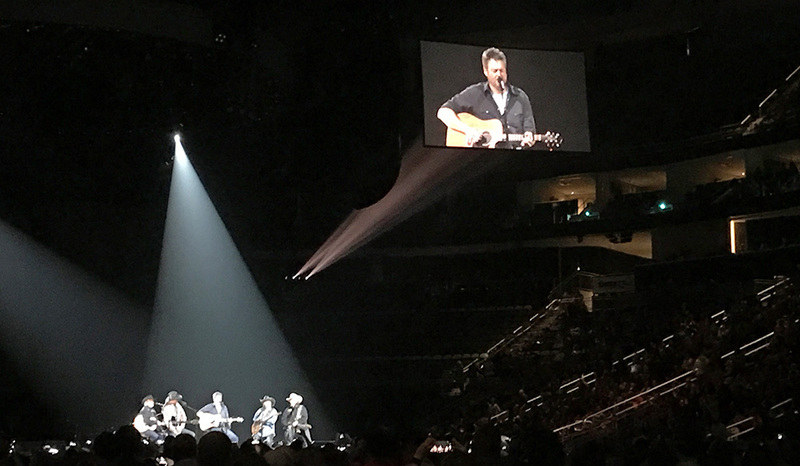 Makin, King and Mulvihill were offered the opportunity to work at the Blake Shelton concert through their work as ambassadors for CID Entertainment, a company specializing in VIP packages for tours. “I owe a lot of my knowledge and preparation for these events to the classes and professors at Point Park,” Makin said.